Is Tasty back to rock it again? YUM! Fridays monthly with friends old and new? YUM! 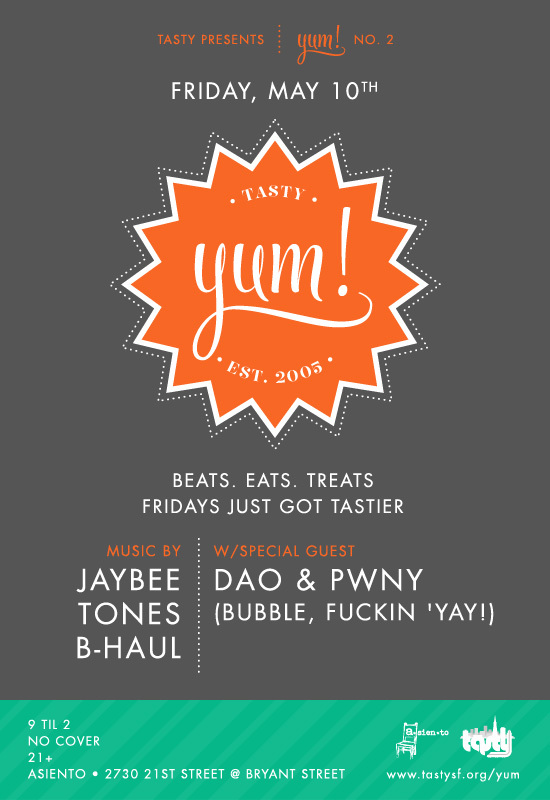 Tasty deejays & special guests Dao & Pwny? YUM! Asiento’s fine food and drink? YUM! The hottest tech, disco, breaks, funk, bass and beyond? YUM! This entry was posted in Events, yum! and tagged bhaul, event, jaybee, music, yum on May 7, 2013 by Amit Verma.